Scotland is a favorite destination both for UK visitors seeking self-catering holidays and those from abroad. Tens of millions of Brits visit the area every year, as it provides an easy getaway from England. At the same time, millions of Americans, Europeans, Australians and others find their way to Scotland to enjoy a warm Scottish welcome no matter what the season. All year round Scotland has lots to offer to visitors. Here are some of the options. 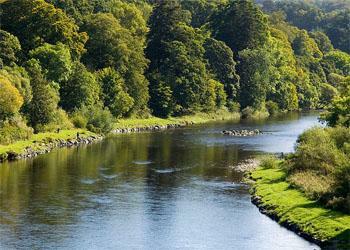 Scotland is justifiably famous for its salmon, much of which comes from the River Tweed, so this is an area where ardent fishermen like to take a vacation. Trout and pike are also plentiful in Scotland, as are rivers – when you have had your fill of the Tweed, check out the Dee, Tay and Spey. There’s also great sea fishing. If you want to get off the beaten track, then explore some of the smaller rivers and lochs and enjoy the open air and natural beauty. If you love the outdoors, then there’s no better way to see Scotland than to take a walking tour. No matter where you look the views are exquisite and there are plenty of hiking trails. If time is limited, then start your tour in the East Lothian area. There are lochs, glens and castles all along the coastline, making the area a feast for the eyes. Another option, if you want a really long walk, is the West Highland Way. And don’t worry about gaining access to trails; Scotland is friendly to walkers. Want to enjoy wildlife as well as walking? Scotland is the place for you. 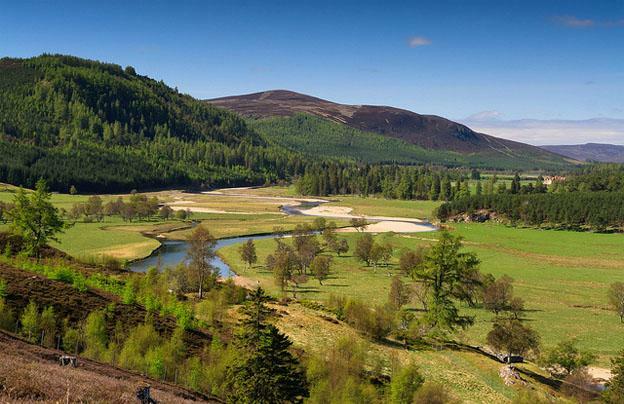 Visit Braemar to see squirrels and deer, check out the Moray Firth for dolphins and go whale spotting near the islands on the west coast. Scotland is also a great place for bird watchers to get their fill of harriers, falcons, kites, seabirds, ospreys and more. Other outdoor pursuits you can enjoy in Scotland include extreme sports, sailing and kayaking, cycling and mountain biking. There isn’t really a bad time to visit Scotland as it’s spectacular all year round. OK, so the weather’s not the greatest in winter, but it’s a good time to get a Scottish holiday on a budget. And if you like skiing, then Scotland is the place to be in winter. Autumn is a good time to enjoy the foliage. Fishermen should visit in spring when the salmon begin their upstream journey. And of course in summer there’s no pleasanter place to be to visit the historic cities for which the country is famous. Sharon Hurley Hall writes for the PadPod. She invites you to check out Edinburgh holiday rentals for your next trip to Scotland.